The unit of government of the indigenous Filipinos was the barangay, which was a family-based community of 30 to 100 families, occupying a pook (“locality” or “area”) Headed by a chieftain called a datu who exercised all functions of government—executive, legislative, and judicial—a barangay was not only a political but also a social and economic organization. In the exercise of his judicial authority, the datu acted as a judge (hukom) in settling disputes and deciding cases in his barangay. Initially, the Audiencia was given a non-judicial role in the colonial administration, to deal with unforeseen problems within the territory that arose from time to time—it was given the power to supervise certain phases of ecclesiastical affairs as well as regulatory functions, such as fixing of prices at which merchants could sell their commodities. Likewise, the Audiencia had executive functions, like the allotment of lands to the settlers of newly established pueblos. However, by 1861, the Audiencia had ceased to perform these executive and administrative functions and had been restricted to the administration of justice. The judicial system established during the regime of the military government functioned as an instrument of the executive—not of the judiciary—as an independent and separate branch of government. Following the ratification of the 1935 Philippine Constitution in a plebiscite, the principle of separation of powers was adopted not by express and specific provision to that effect, but by actual division of powers of the government—executive, legislative, and judicial—in different articles thereof. Shortly after assuming office as the seventh President of the Republic of the Philippines after the successful People Power Revolution, then President Corazon C. Aquino declared the existence of a revolutionary government under Proclamation No. 1 dated February 25, 1986. Among the more significant portions of this Proclamation was an instruction for “all appointive officials to submit their courtesy resignations beginning with the members of the Supreme Court.”The call was unprecedented, considering the separation of powers that the previous Constitutions had always ordained, but understandable considering the revolutionary nature of the post-People Power government. Heeding the call, the members of the Judiciary—from the Supreme Court to the Municipal Circuit Courts—placed their offices at the disposal of the President and submitted their resignations. 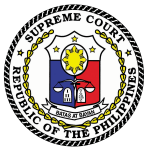 President Corazon C, Aquino proceeded to reorganize the entire Court, appointing all 15 members. Article V of Proclamation No. 3 provided for the convening of a Constitutional Commission composed of fifty appointive members to draft a new constitution; this would be implemented by Proclamation No. 9. The output of the Constitutional Commission of 1986 was submitted to the people for ratification, under Filipino people then ratified the Constitution submitted to them by the Constitutional Commission on February 2, 1987.